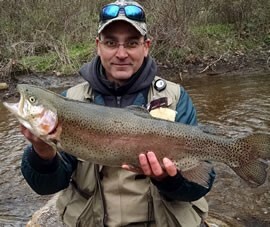 (17/P28) TRENTON – More than 180,000 freshly stocked rainbow trout will be awaiting anglers when they cast their lines on the opening day of trout season this Saturday, April 8, Department of Environmental Protection Commissioner Bob Martin announced today. More than 100,000 anglers statewide are expected to take part as the season officially gets under way at 8 a.m. Fishing licenses and trout stamps are available online and at license agents across the state. Opening day will be marked by ceremonial first casting of lines by military veterans at the Pequest Trout Hatchery in Oxford, Warren County. Some 100 veterans are expected to attend. “The opening day of spring trout season is the most eagerly awaited day of the year for freshwater anglers,” Commissioner Martin said. “There is something truly special about getting outside, fishing rod in hand, and soaking up the beauty of our state while anticipating reeling in a magnificent trout. 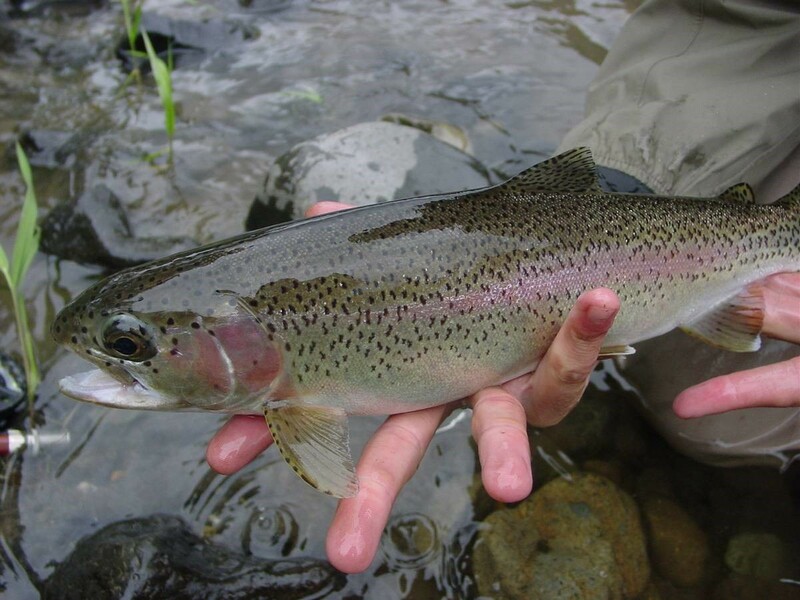 The Division of Fish and Wildlife has been busily stocking waterways with 180,000 rainbow trout raised at the Pequest Trout Hatchery. In total, some 570,000 hatchery-raised trout will be released in 200 streams, rivers, lakes and ponds throughout the state by the end of May. Most of the released trout will average 10½ inches long, but large breeders measuring 15 inches to 21 inches and weighing up to 5 pounds will also be distributed in the early weeks of the season. Veterans and active military personnel will help kick off the official opening of trout season when they cast into the Pequest Trout Hatchery’s Fishing Education Pond in a special DEP event. Participants will include members of Project Healing Waters and a local Wounded Warriors chapter, as well as veterans and active duty military personnel to kick off the season at 8 a.m.
For the online license and stamp application, a list of licensed agents, and the in-season stocking schedule, visit: www.njfishandwildlife.com/trtinfo_spring.htm.